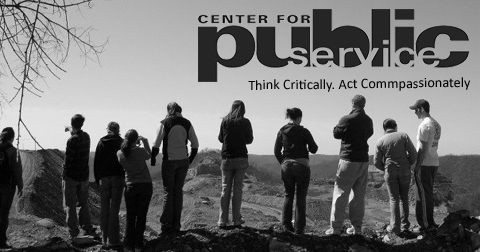 Dodging the Bullet: Center for Public Service EXPO | The Gettysburgian. The Center for Public Service hosted an EXPO at the Jaeger Center on the evening of Aug. 29, and many students, first-years and upperclassmen alike, arrived on the scene to sign up for numerous opportunities in community service, social justice, and immersion trips available this coming school year. As a first-year myself, it came as no surprise to me that Gettysburg’s countless opportunities on- and off-campus extended further than the activities and events such as GIV day that were spelled out during orientation. When I entered the building, the upperclassmen representatives for each service option were enthusiastically sharing the goals and objectives of each organization — some passing t-shirts for Big Brothers Big Sisters out or passing around sign up sheets to the crowds of people eagerly listening and waiting to join. Many of the organizations at the entrance in particular discussed their objective of bringing support to the surrounding Hispanic communities, which I, as well as the rest of the Gettysburg College community, could benefit from helping. For instance, one group in particular called Support Circles aims at bringing friendships and support to children in families transitioning out of poverty. We as a campus live in what is often referred to as the “Gettysburg Bubble,” in which our community solely consists of the students, staff, and faculty on campus. But these opportunities, including Support Circles, could potentially widen our perspectives of the true demographic of the Gettysburg community as a whole and lead to immersion within the surrounding community’s culture. In the case of the agriculture-oriented Adams County, there are many low-income families who may need support from fellow members of their community, including those who reside at Gettysburg College. These opportunities are also presented in after-school tutoring and learning programs on Gettysburg’s campus and beyond, such as El Centro; Food, Land, People After School Program; and RSG After School at VIDA Charter School. In fact, my Spanish class was required to join El Centro to aid children with homework, games, and their bilingualism, and I am personally grateful this opportunity presented itself so easily and early on in my college career to allow full understanding of cultures beyond where I grew up and where I now go to school. Beyond community outreach, the Center for Public Service provides immersion programs all around the world, but with a mindset to teach students about specific areas of interest. If a student is interested in statehood, the economy, and debt, an immersion trip to Puerto Rico is available and conveniently scheduled during the March break rather than during the school semester. As a first-year student, it was incredibly valuable to attend the EXPO and gain a broader understanding of all the opportunities offered for volunteer service, immersion trips, and even social justice. Back home, I used to volunteer at a local senior living community, and now I know that I have a similar opportunity available at the Adams County Office for Aging, where students can aid adults ages 60 and up, gain independence, and foster friendships. The Center for Public Service EXPO exceeded my expectations and, especially as a first-year student, allowed me more opportunities on- and off-campus. I signed up for more information on a few of the organizations there, including the Painted Turtle Farm, where I will soon widen my “Gettysburg Bubble” by meeting new people who have a shared interest for cultivating the environment and improving our local community.